The Jerusalem Post reports: Iraqi forces opened a second front on Saturday in preparation for an assault on the Islamic State stronghold of Mosul, a day after government troops declared victory over the militants in Falluja. Elite counter-terrorism forces and two army divisions, backed by U.S.-led coalition air strikes, advanced from a northern refinery town towards an airfield seen as key for a move to retake Mosul, security officials said. 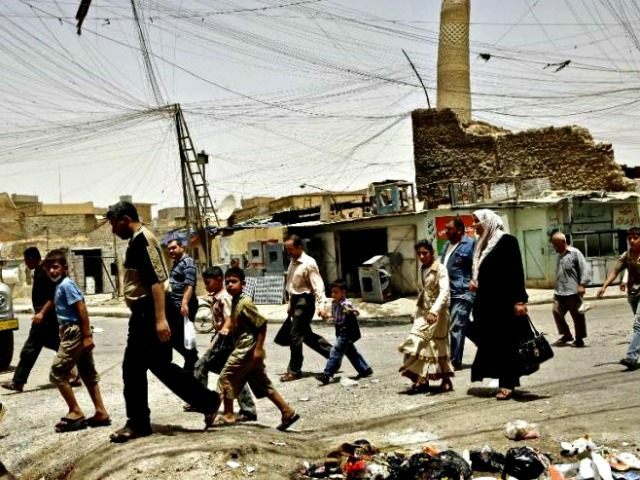 Mosul is Iraq’s largest northern city and Islamic State’s de facto capital in the country. Government troops cleared two villages and pressed around 20 kilometres (12 miles) along a desert route west of Baiji, the first advance past the town since its recapture in October, the security officials said. Defence Minister Khaled al-Obaidi said the assault marked the launch of operations to push Islamic State out of Qayara, about 115 km (70 miles) north of Baiji, where an airfield could serve as the staging ground for a future offensive on Mosul, a further 60 km north.